We love to travel to Sacred Sites to experience the beauty and the energy of these places. To us, this is more than sight-seeing or being a tourist. We love to feel the energy and the vibration of the land, the trees, the rocks, the temples. Our favorite place thus far is Sedona AZ. We love to feel the energies as we hike into the earth vortexes. What an amazing way to raise our vibration - to connect to the earth energies up close. 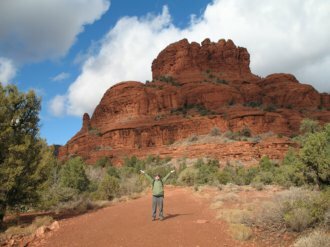 For our adventures in Sedona click here. 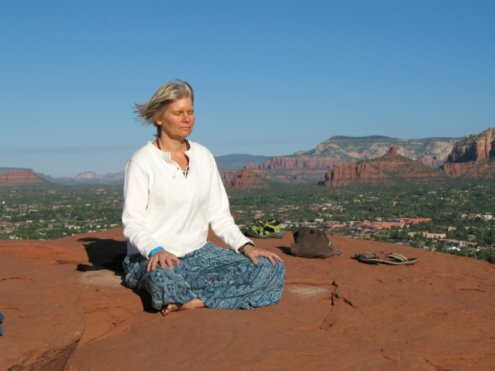 I love to meditate especially in the early morning on the earth vortex! I traveled to India - Ganeshpuri and Kerala. Magical amazing country - filled with sacred places. 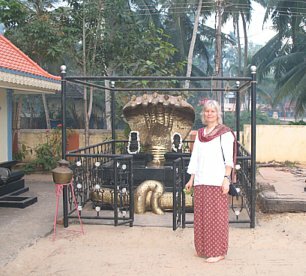 Ashrams, temples, and the people - all know they are divine and sacred! We look forward to experiencing more adventures. We love to feel the vibration of the earth energies in the vortexes. We love to feel the awe and wonder of the temples and magical places all over the world. One of the best ways to raise your vibration!